Velma Barfield was a dangerous woman. If anyone threatened her addiction, she would get rid of them using arsenic. 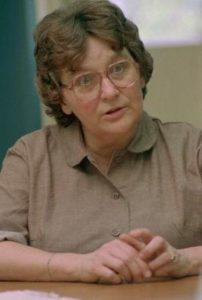 Some believe that Velma was a completely different person off the drugs; Others believed that she was a cold-blooded killer who only lived to serve her blood thirst. Thank you for listening, If you enjoyed this episode, please be sure to subscribe, rate & review on Apple Podcasts – it really helps us out. Did you hear our new tagline? Our contest winner has decided to remain anonymous and not accept any of the prizes. That means you have an opportunity to win one of the several prizes available. You will have until 6/4 to submit your name for a chance to win. Head over to the website for info on how to enter. I recently started a Facebook discussion group where we can discuss the cases more in depth. Just search for True Crime Fan Club Discussion Group and one of our lovely mods will add you. The contest has ended and our winner has decided not to accept the prizes & wishes to remain anonymous! Thanks to their generosity I will instead raffle off the prizes!! To those who have already made submissions, you will automatically be entered! Entries will be accepted until 5/31! Every winner gets a shout out on the show! As a Fan Club Member, you have earned an opportunity to come up with the ending tag line of the show! As you all know, I typically say “Until next time” — that is SO boring. Now you get an opportunity to become a piece of the show. You will need to submit your tag line to: tcfcpod@gmail.com (only 1 entry per person). Entries will be accepted beginning 4/24/17 until 5/24/17. The winner will be announced on 05/25/17!!! Walter Ellis was dubbed the Milwaukee North Side Strangler by the community who was terrorized by him. He would evade capture for over 20 years until one day…. science caught up with him. Some call him cunning, I call him lucky. Because of your donations, we have added a content editor and researcher to the team, Thanks to Brittney Martinez for her assistance. Welcome her to the club! Don’t forget to listen to our podfriends promo towards the end! Candy Montgomery was a bored housewife, she wanted excitement. 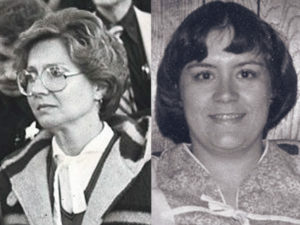 She got more than what she bargained for on June 13th, 1980. The crime takes us back to North Texas. The twists and turns will surprise you and it is an ending no one expected. When you hear the ending – share with us what you think happened. I would like to thank the most recent Patreon Supporters: Shannon H. Welcome to the Club & Thank you so MUCH for your patronage. I hope you continue enjoying the show! If you aren’t following us on social media then you’ve likely missed the contest announcement. As a Fan Club Member, you have earned an opportunity to come up with the ending tag line of the show! As you all know, I typically say “Until next time” — that is SO boring. Now you get an opportunity to become a piece of the show. You will need to submit your tag line to: tcfcpod@gmail.com (only 1 entry per person).